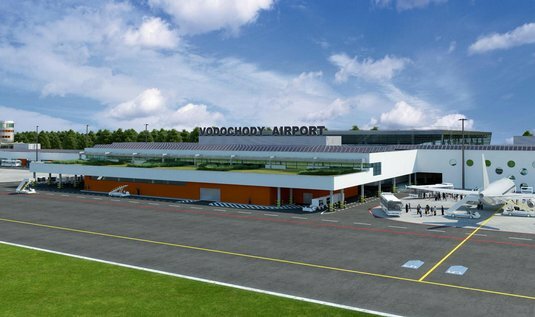 Czech Ministry of Environment approved request to extend small airport in Vodochody a public international low cost airport. Vodochody airport is located just approximately 20 kilometres north of Czech Republic’s capital Prague. This is yet another step towards opening the airport for low cost airlines and finally extending amount of cheap routes from Prague to the rest of Europe. Prague is one of the few main touristic centers in Europe which still has only one huge airport which is used mainly by classic airlines. Currently only Easyjet and Wizz Air operate at Prague’s main Vaclav Havel airport but even them restrict their services to just couple of routes. Ryanair is completely missing, although the company used to fly from Prague in the past. However couple of years ago they completely shut down their services because of high fees charged by the airport for each passanger. Vodochody airport is a new hope for all low cost travellers wishing to buy cheap tickets from Prague, instead of travelling to closest low cost airports in Brno, Wroclaw, Leipzig or Nürnberg which are all at least 3 hours away. Czech Ministry of Environment yesterday approved airport’s EIA – effects on environment with 124 conditions that has to be fulfiled. These include for example limits of maximum 35 000 landings and departures per year, no flights in between 10 PM and 6 AM and landing of airplanes with maximum width of 36 meters. Another requirement is building a new road from nearby highway straight to the airport to easy on traffic. There are still couple of problems for investors group Penta which stands behind the project – mostly protests of neighbouring villages and Central Bohemian region, which do not agree with such changes at the airport. Most of the citizens are afraid of increased traffic, noise and bad influence on their quality of life. Meanwhile, the new Vodochody airport is scheduled to start operating in 2016 with a brand new runway being projected for 2018 and expected traffic of 3.5 million passengers per year.